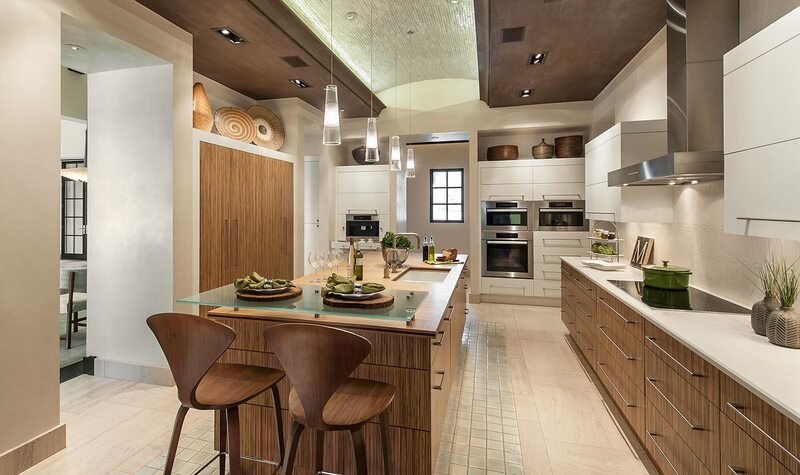 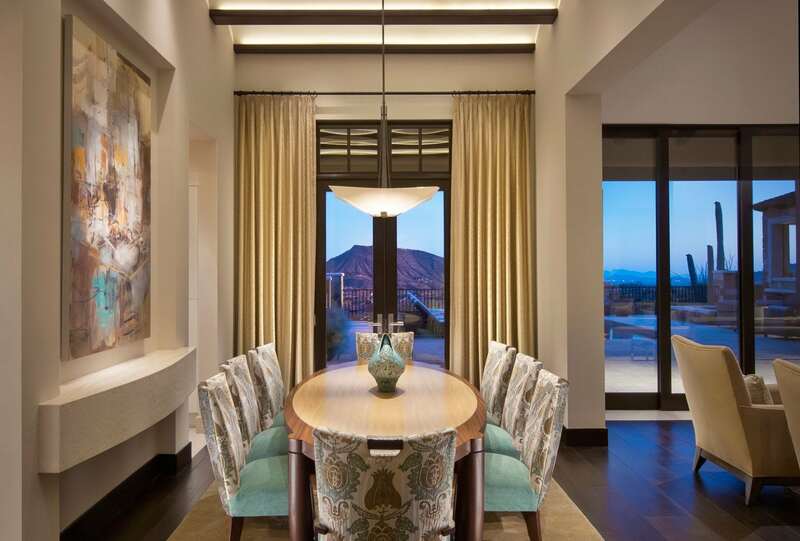 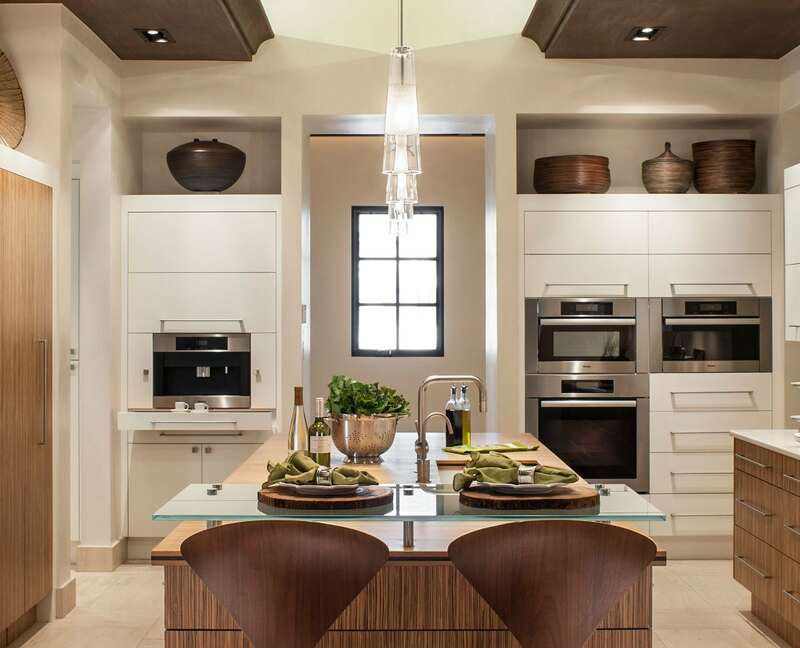 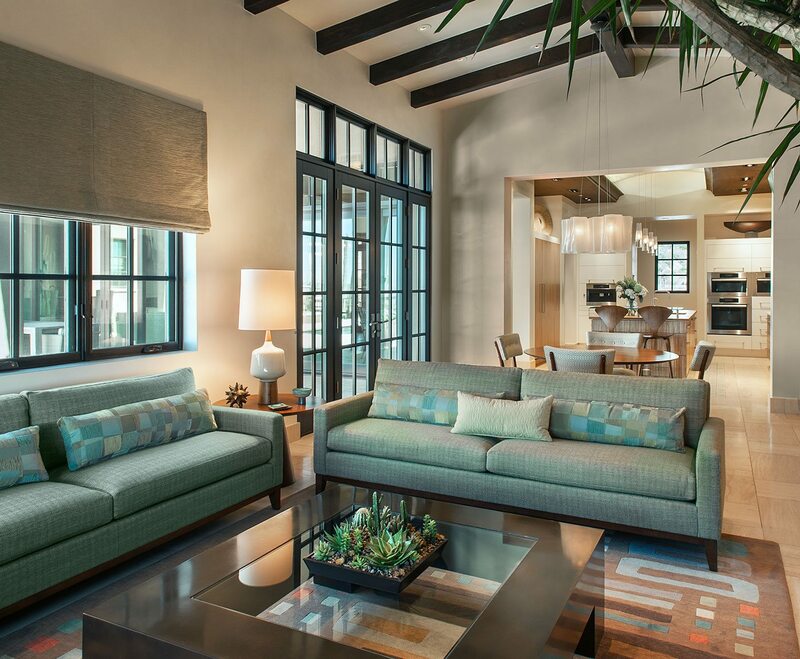 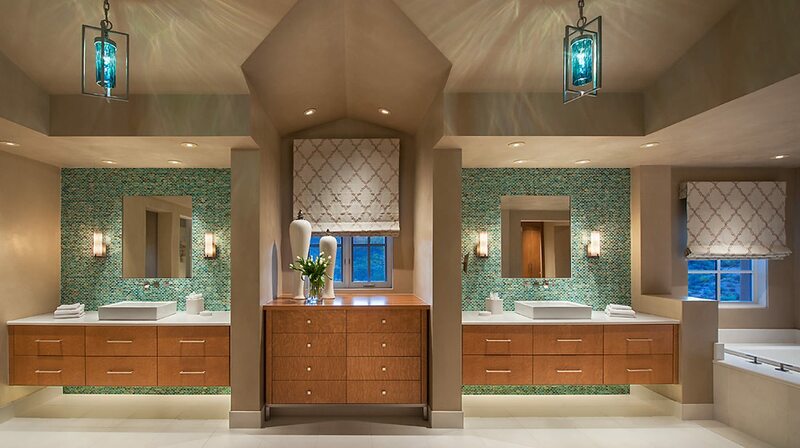 This Scottsdale interior design project is perched in the saddle of a mountain. 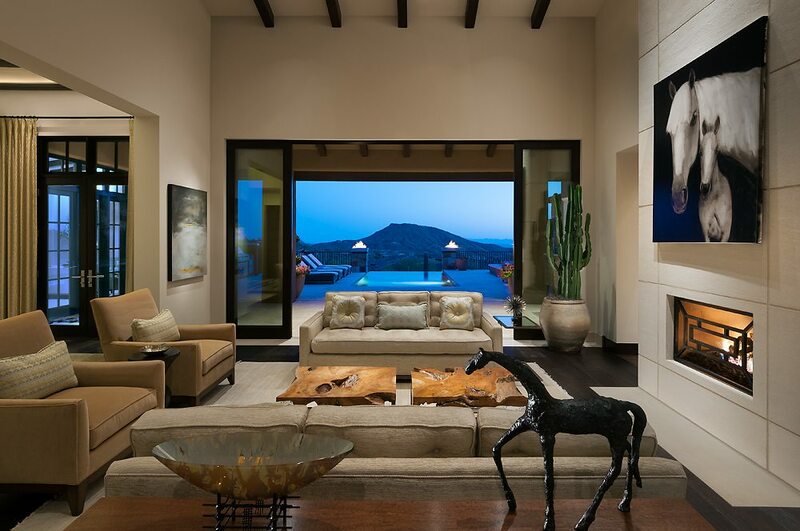 Located in North Scottsdale, with beautiful long distance views, this home is a haven to come home to. 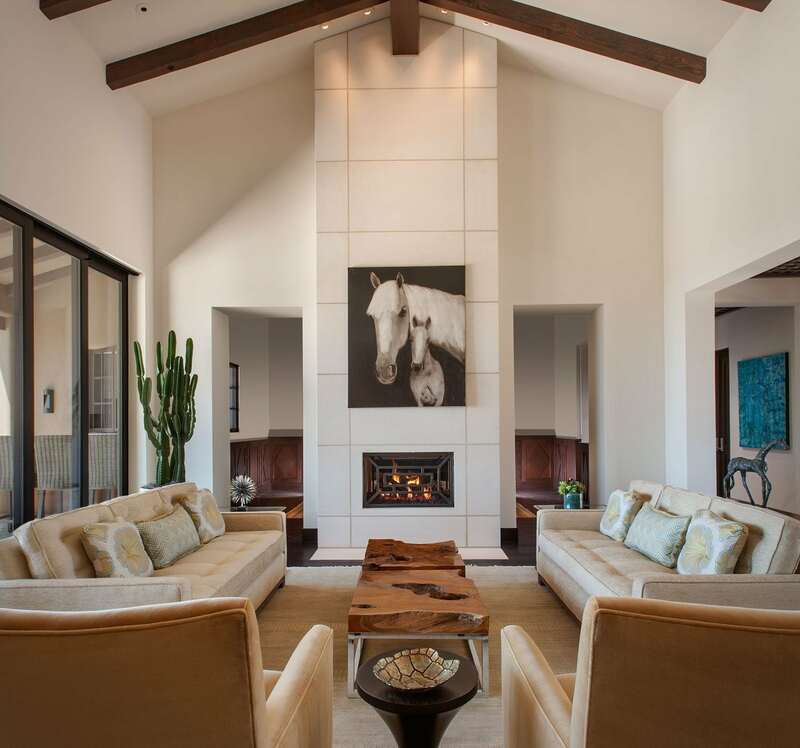 The contrast of dark wood beams, doors and architectural accents with light walls, limestone flooring and neutral area rugs gives a stimulating palette for the eye, while still being restful and calming. 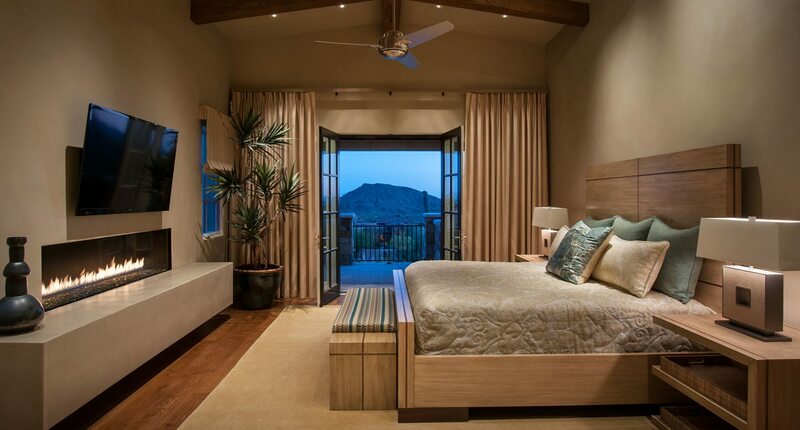 For this exclusive Scottsdale interior design project, our team designed custom furniture for the master bedroom with clean lines and beautiful oak and walnut wood inlays that follow the architectural lines of the home and lead the eye to the beautiful environment just outside the patio doors. 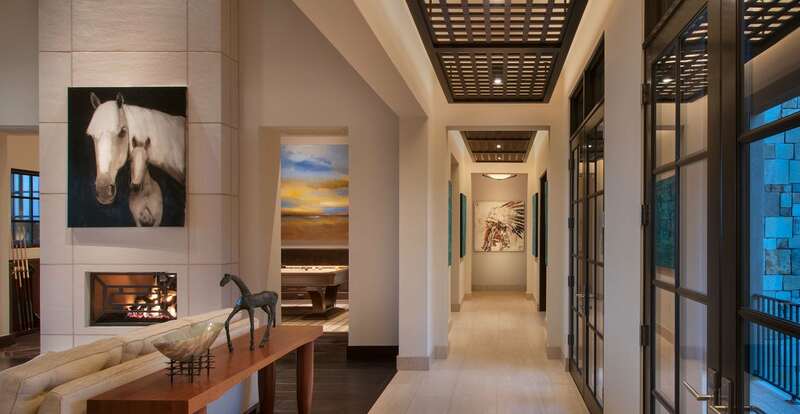 Many interesting pieces of art, both sculptural and painted, add richness and personal interest in these stunning spaces.